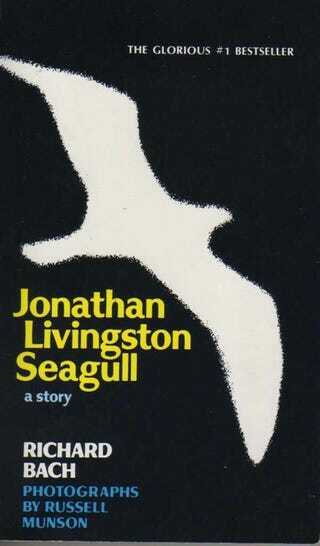 One of the most printed contemporary books of the 1970s, Jonathan Livingston Seagull is an extremely accessible psychospirutal novella about personal growth, spirituality, nonconformity, and materialism. It follows the eponymous JLS, an actual Seagull, through his journey from a lowly bird only interested in the day-to-day quests who takes a risk and seeks enlightenment. It's not Kafka or Kundera or anything, but it's not bad when you're young and is a good doorway into understanding people who reached intellectual maturity in the 1970s. We might as well add reading-while-driving to the list offenses the pilot of the submerged Bugatti Veyron likely committed, though we needed Ash78 to clarify that it was a little-known sequel. "As he sank low in the water, a strange hollow voice sounded within him. There's no way around it. I am a Veyron. I am limited by nature. If I were meant to learn so much about floating, I'd have nautical charts for an ECU. If I were meant to float at speed I'd have a boat's hull, and live on wind instead of gasoline. My father was right. I must forget this foolishness. I must drive home to the Flock and be content as I am, as a poor limited Veyron."